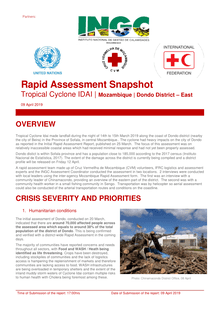 Tropical Cyclone Idai made landfall in central Mozambique, on the night of 14 March 2019. 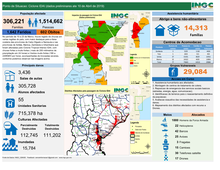 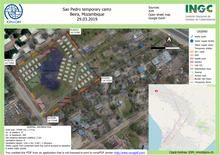 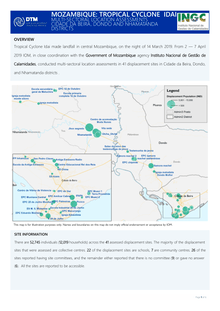 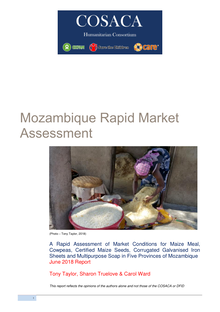 From 2 — 7 April 2019 IOM, in close coordination with the Government of Mozambique agency Instituto Nacional de Gestão de Calamidades, conducted multi-sectoral location assessments in 41 displacement sites in Cidade da Beira, Dondo, and Nhamatanda districts . 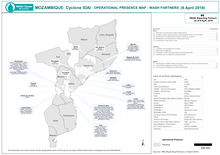 Mozambique is a country prone to natural disasters, most markedly floods, cyclones, pest and disease outbreaks and frequent droughts. 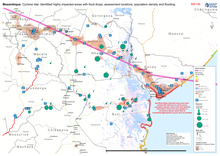 These regularly exacerbate the underlying poverty and food security situation and cause major damage and set back economic growth in disaster-affected areas. 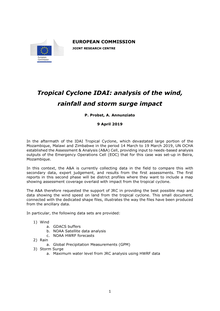 Meteorological records show that flooding and cyclones usually occur during the rainy season between the October and April. 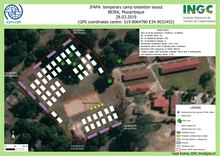 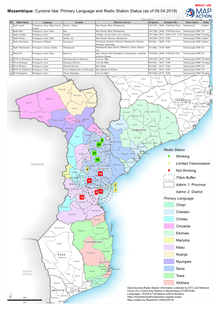 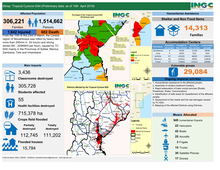 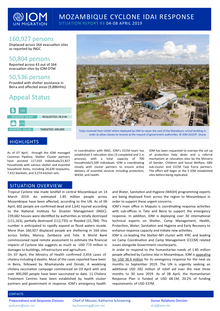 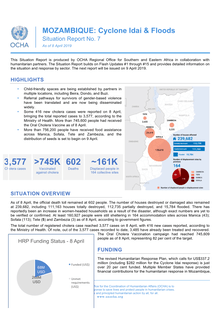 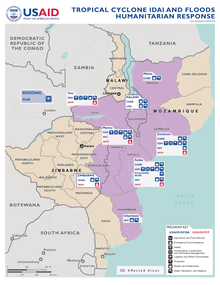 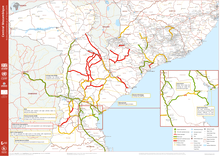 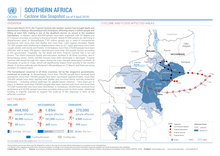 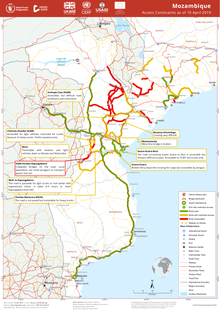 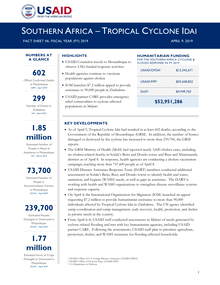 In the aftermath of the IDAI Tropical Cyclone, which devastated large portion of the Mozambique, Malawi and Zimbabwe in the period 14 March to 19 March 2019, UN OCHA established the Assessment & Analysis (A&A) Cell, providing input to needs-based analysis outputs of the Emergency Operations Cell (EOC) that for this case was set-up in Beira, Mozambique.